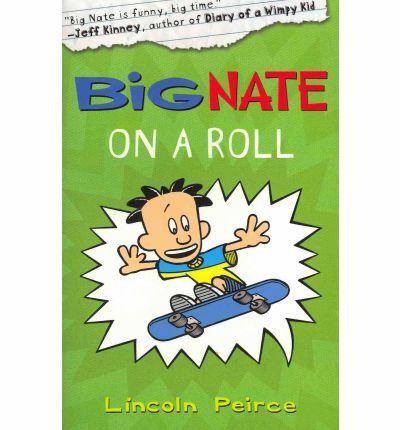 Big Nate was running late and a terrible series of events leads to him losing his skateboard. All is not totally terrible though as he finds out the scout who raises the most fundraising money for the scout troop will win a cool customised board. Nate is certain he can win – until he realises he is up against his arch nemesis, Artur. How is he going to compete with Mr Perfect? Then he comes up with a plan to split Artur and Jenny up so he can have Jenny all to himself. Only Nate’s plans don’t always go as he thinks they will. Once again Nate brings his massive ego and a trail of disaster to us. Despite his obvious flaws there remains a strange appeal about Nate. you are happy to go along for the ride, enjoying the highs and lows that includes. Artur has a bigger part in this one than previous books and that gives Nate a good opponent to bounce off, of course Artur has no idea Nate views him this way. The style remains simple, easy to read and the illustrations and cartoon sections break it up well. I still think I prefer Big Nate to Greg Heffley.